While it is possible for workers to suffer fatal injuries in any work environment, there are a number of industries that are known for their increased dangers. In 2015, the logging industry witnessed the most worker deaths. Other industries that have staggering numbers of worker fatalities include aircraft pilots, fishing industry workers, and roofers. Here in Illinois, work injuries are covered by the Illinois Workers’ Compensation Act, which allows a worker to receive benefits to cover the costs of medical care resulting from their injuries, as well as temporary and permanent disability benefits. Due to increased safety measures, workplace injuries have decreased statewide over the past decade. Today, the most common form of workplace injury in Illinois is overexertion, which accounted for 37% of all workplace injuries. Common injuries related to overexertion include cardiac issues (such as heart attacks) and physical injuries (such as herniated discs). 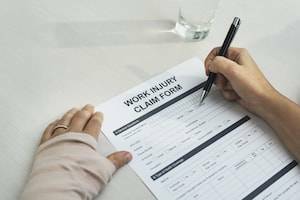 At Flaherty Law, we have years of experience helping our clients receive the workers’ compensation benefits they deserve after suffering a workplace injury. If you or a loved one have been injured while at work, it is critically important to contact a legal representative. To set up a free consultation with a Will County workers’ comp lawyer, call our office today at 815-577-7500.